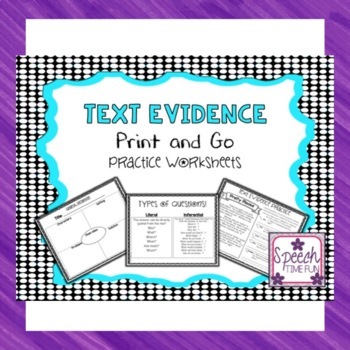 Text Evidence Print and Go Inferencing Worksheets! 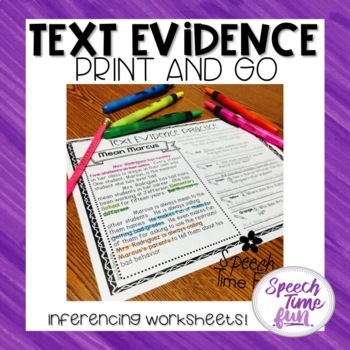 Encourage your students to dig deep and practice answering literal and inferential questions with this print-and-go pack! This resource covers the Common Core standards of RL3.1, RL4.1, and RL5.1. In addition, the Lexile levels used span 510-730, and the reading levels span K-R. NOTE: This product is included in my No Prep Bundle. If you have already purchased or plan to purchase the bundle, then do not purchase this product. 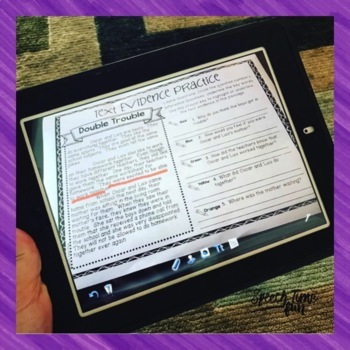 ★ Students will identify the different question types, answer them, and locate text evidence. ★ On each page you will find a 3-paragraph passage and five comprehension questions. Some questions will be literal, and others will be inferential. "Great product for helping students to understand types of reading comprehension questions and to review the vocabulary used in those questions. It is fabulous for teaching students how to go back and find the answer in the text (finding the exact answer or understanding how to find the information needed to make an inference to answer the question)." 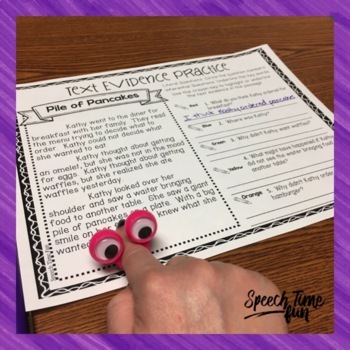 "Our classroom teachers are really focusing on using/citing text evidence in their classrooms, and these stories will be perfect! Thank you!" "I love this material. My students love this material. They ask me to work on this all of the time. I offered a 'game day' to one student and he requested we read another one of these stories. They are great for working together to build confidence in students abilities." "This was great. I used it today and it was really straight forward. I used a sheet protector and dry erase markers and it was perfect! I used it with my middle school LIFE class and they were able to be very successful with the task for literal questions but struggled with inferential. I love that it's all done on the same sheet so I can shift between the 2 options."